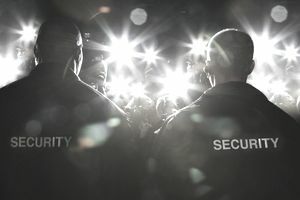 Follow these tips for hiring event security teams to help to keep your event safe and secure, whether it’s a high-profile celebrity event, a conference or a music festival. Does My Event Need a Security Team? You might think that because your event is small, there’s no need for security. However, there are so many things that an event security team will deal with; they’re not just there if the worst happens. From a thorough risk assessment of your event to controlling access, quite often just the subtle presence of a security team can put attendees at ease and prevent problems occurring. You have so many other things to think about when you’re planning an event, so the added peace of mind of having a specialist security team is worth its weight in gold. To make sure that the security team you’re thinking of hiring is completely above board, check that they’re fully licensed to provide complete security services. Licensing requirements vary from state to state, so it’s important to make sure that your team has the correct paperwork behind them. You’ll also want to look into their training and backgrounds to make sure that they’re the right fit for your type of event; for example, if you’re planning a large outdoor music festival, a firm that specializes in close protection of individuals might not be the best fit - look for a team that has experience in the type of event that you’re planning. Getting the balance between safety and the number of attendees you have can be tricky, but it’s one of the most important tips for hiring event security teams. For smaller events, a huge security team is probably going to be overkill, and of course, might make your attendees feel uneasy, but if your event has hundreds of attendees, then you’ll need a team large enough to handle crowd control and manage conflicts. If you’re not sure how big a team you’ll need, discuss it with a number of possible security companies and get more of a feel of what you’ll need. Even if you’re impressed by a company’s website and credentials when you’re looking to hire an event security team, I’d strongly suggest asking for references as well. They should be happy to provide these, and may even point you in the direction of past clients to speak with personally. If they seem unwilling or unable to provide references, just move on to the next firm – security is such a high priority that it’s essential that you make the right choice for your event. Don’t forget that they’re the experts in security, so even if you’ve performed your risk assessment of the venue you should also ask your security team to do the same. They may spot something that you hadn’t, and if they don’t see the venue until the day of the event, you risk having to run around changing things on the day, which as we all know is very stressful! Even if a security team comes highly recommended, is fully licensed and has a wealth of experience and skills, I’d always recommend that you trust your instinct if you don’t feel happy with them. At the end of the day, you’re putting the safety of your attendees in their hands, so you should be 100% positive that they’re the right choice for your event security.